I have been named the 2nd place winner in the Main Street Voices Poetry Contest, sponsored by the Doylestown Bookshop. More information about the contest and the reading/reception is here. I have been named the 3rd runner-up in the 2014 Bucks County Poet Laureate competition, judged by the fabulous Kim Addonizio. This is my second time placing in the competition. Check out the Events page for information on the upcoming reading and reception! My short story, “Lake,” is being published in the Winter 2013 issue of Schuylkill Valley Journal. This is the story for which I was nominated for the Pushcart. SVJ is a very high quality print journal that has published some of my favorite writers in the Delaware Valley area. I’ll be reading from my story at the issue’s launch on December 8, 2013. You can find more information on the Events page, or contact me for details. Reading in Philly: a poetry sandwich! On Tuesday, August 6th, I’ll be a featured reader for Palabras on Passyunk, Elizabeth Spencer’s great new reading series in south Philadelphia. We’ll be at Red Hook Coffee and Tea, 765 S. 4th Street. -Fiction! Poetry! I’ll be reading with poets Warren Longmire and Clinton Smith will read poetry. So, something for everyone! -Preview of my story “Lake,” about to be published this winter, and perhaps some other new stories. -Open mic. If you like to write, bring a short piece to read at the end of the night. -Yummy food at the Red Hook Coffee and Tea. -Free wine and beer. Because why not? More information is available under the Events tab under News. Hope to see you there! 1. 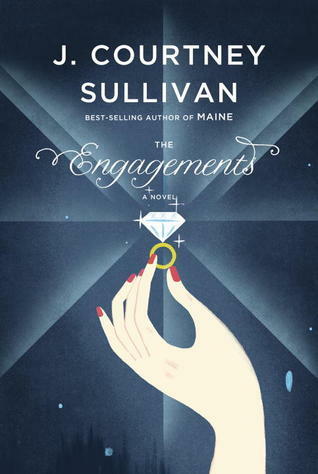 THE ENGAGEMENTS by J. Courtney Sullivan. A few summers ago, I was in Barnes and Noble trying to pick out one book to buy. I was between Courtney Sullivan’s Commencement and one other novel. I ended up choosing COMMENCEMENT, and I’m so glad that I did. Sullivan writes beautifully and believably about women and families, and she has a real gift for including detail in her novels: in MAINE, one of the characters reflects how she grew up being told to say a Hail Mary prayer whenever she hears an ambulance siren. This resonated with me deeply. Best of all, I had the privilege of meeting Courtney and being a sort of “opening act” reader for her a few years ago, and not only is she a gifted writer, she is a friendly, vibrant, and sweet person. THE ENGAGEMENTS comes out in hardcover on June 11. 2. ALWAYS WATCHING by Chevy Stevens. I read Chevy Stevens’s first book, STILL MISSING, when I should have been reading a 900-page novel in preparation for my master’s degree comprehensive exam. Needless to say, Stevens’s book was more fun. I don’t normally read thrillers, but my aunt bought this book and lent it to me, and this may be the ultimate cliche, but I could not put this book down. It was a welcome and delightful distraction from the stress of everyday life, and easy to get caught up in the story of a woman who escaped a long captivity at the hands of a kidnapper. This book, and her next, NEVER KNOWING, involve characters confiding in a mostly-unseen psychiatrist. ALWAYS WATCHING will show us that psychiatrist’s point of view. I can’t wait! 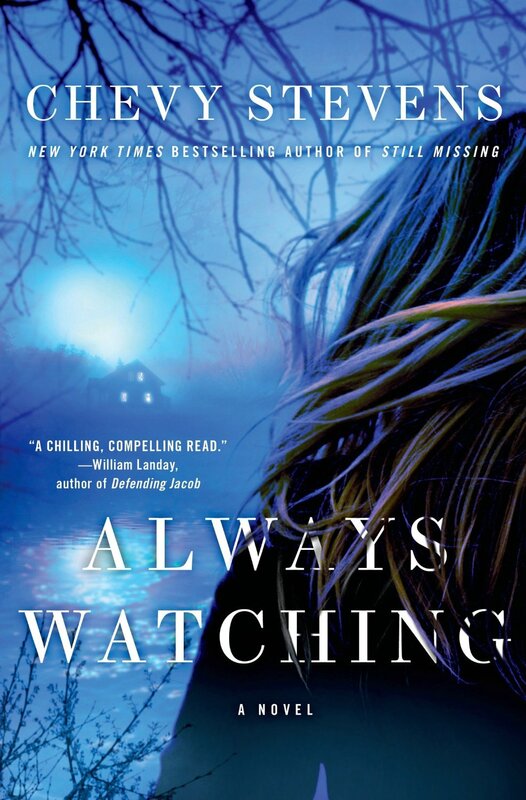 ALWAYS WATCHING comes out in hardcover on June 18. 3. HELP FOR THE HAUNTED by JOHN SEARLES. Like the two authors I mentioned above, I read John Searles’s first two books, BOY STILL MISSING and STRANGE BUT TRUE and absolutely loved them. The only difference is, if I’m not mistaken, it’s been close to 7 years since we’ve seen a new release from Searles, and 7 years of my checking every bookstore shelf and searching for information online. I think this new book will be worth the wait. Searles writes eerie, haunting, and lovely novels that all contain elements of suspense, but not at the expense of character interiority and depth. In STRANGE BUT TRUE, for example, there is a central mystery involving the girlfriend of protagonist Philip’s deceased brother, but in addition to that, Phillip is a deeply developed, nuanced, and at times heartbreaking character. 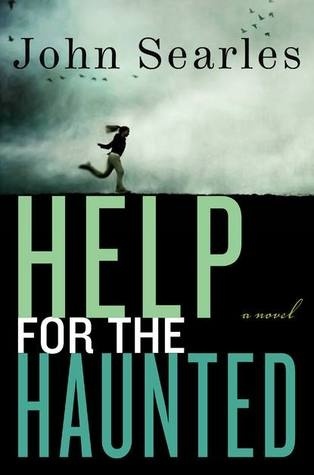 HELP FOR THE HAUNTED comes out in hardcover on September 17. Which upcoming book releases are you looking forward to? I’d love some more suggestions!